"Deep, Fat, Clean, Crisp, Growl, Punch... can’t say enough to describe Bartolini’s sound. 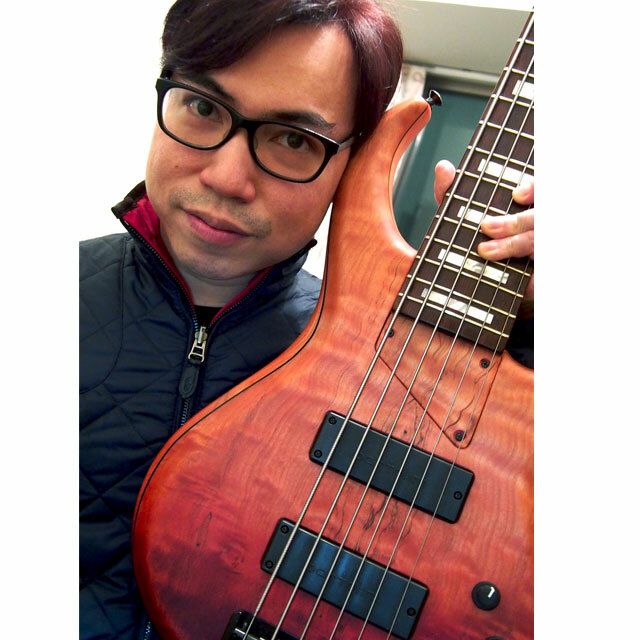 I love playing with Bartolini pickups because it sounds musical with lots of dynamics and details; truly defined what I need." I have Bartolini pickups in my MTD 635, MTD 535-24 and MTD 535-24FL; as well as Bartolini Classic Bass series Soapbar on Devon J5, Bartolini MK-I on Ibanez SRF705; various Bartolini preamps loaded on basses for sure. Being a session bassist based in Hong Kong for years. I have performed with variety of artists in the town or worldwide such as Jayesslee, Peter Yarrow, Albert Au, Ruth Chen, Frances Yip, Alan Tam, Corinna Chamberlain, Peter & Andrew Cheung, Lucia Martinez and more. I am currently active of gigging in commercial events, TV music shows, jazz gigs and musical dramas; as well as being an instructor, clinician and band coach of worship musicians and bands in churches. I am participating in two bands regularly for original stuff included fusion-rock style Green Bean and Japanese-oriented Ocean Boulevard.